Writing letters to, or about, people you love who have passed away, may seem like a strange idea, or perhaps a good one. When we lost my brother in 2014, people were naturally (and very kindly) concerned about how we were coping. Quite a few of them suggested writing down our feelings – either as a letter to him, or just as a rambling about what we were thinking I guess. I tried it once and found it pretty difficult; how do you talk about that? What kind of letter do you call it? Is it a weird thing to do? What do you do with the letter once you’ve written it? These are some of the questions that have been going around in my head especially as the 22nd of February approaches – the first year mark. What’s the point if he’s never going to see it? Why put myself through all that pain having to think about (and acknowledge) the fact that he’s gone? Most days, that is a physical pain too hard to handle. Losing somebody you love is unlike anything you could possibly imagine unless you have lost someone yourself. 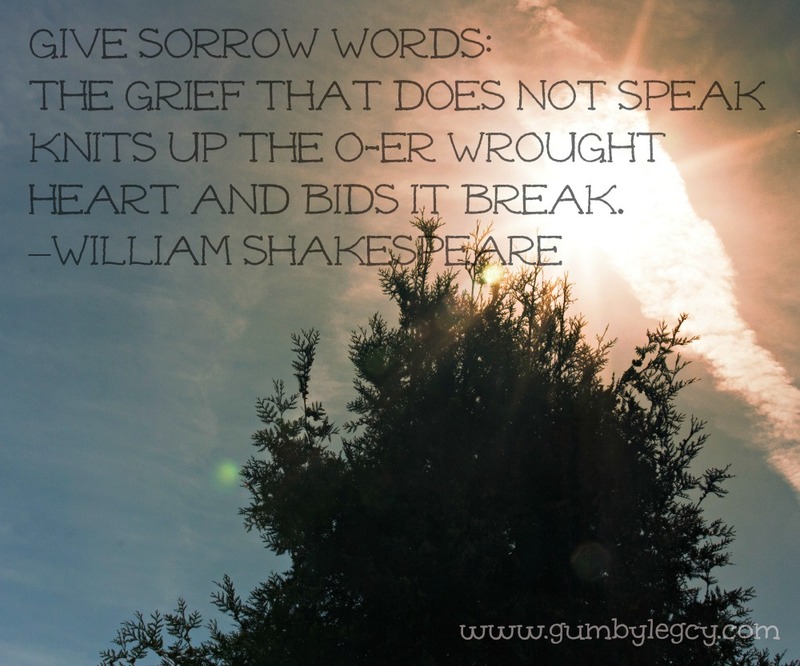 Grief is devastating and depending on the circumstances, potentially horrific. Just as the way each individual who passes away is unique, so is each person’s experience of grief and no loss could possibly feel the same. Just like everybody’s experience of life could never be the same. Part of our way of coping has been to keep busy. This website and the fundraising we have done so far has been helpful in keeping us busy, even if it has been difficult at times. Even though I haven’t written so much about, or to, Gumby specifically I am now realising that writing has, in fact, also been quite therapeutic for me this past year. Whenever my mom and I have been brave and shared more personal stories about Gumby and what happened to him, people are always kind and supportive and often, we get people emailing us and sharing similar stories of their own. And it has made us realise that we are not alone. We like to think that by sharing our family’s journey and discoveries about grief, we may be able to help somebody else to keep going when it might seem impossibly hard or even pointless. We want to let people who are also desperately sad, know that they too, are not alone. That there are things you can do which may make it feel a little bit easier to cope and carry on. Right now, I don’t believe it can ever get better. But it might become easier to live with. Many people say that grief never goes away, but that it becomes number, or duller over time and allows us to get on more easily with living. Only time will tell. I finally wrote a letter to my brother the other day. It was hard and raw and I cried. But once it was done, I felt calmer. I understood myself a little bit more. If you are feeling sad and overwhelmed, I’d encourage you to try to write a letter: to whoever you want, about whatever you need to write about. If you are stuck with how to start, this article may be useful. Or this one. This one too! You could throw it out to sea in a bottle, or burn it on a fire, or keep it somewhere hidden and safe. Or you could send it to someone, either somebody you know and trust, or someone you’ve never met but understands what you have done and why you have done it. We care and we know first-hand how much it can help to share things with people who have been through similar experiences. Also how difficult it can be to do just that. That’s why we have decided to set up Cloud Letters. We can’t offer you advice or expert support, however if you would like someone to share your letter with, who understands why you have written it and who will read it with empathy and love, not judgement, then please do send it to us. Please click here for more information about where to send Cloud Letters. Wow. So moving and emotional. I wrote a poem for/to my sister and let it float off to see along with her….a heart tearing, difficult task at first. Then something that started as a task became enlightening and the weight lifted from my heart for just long enough to breath a little again. I still miss her and always will. Pain gets easier to live with. 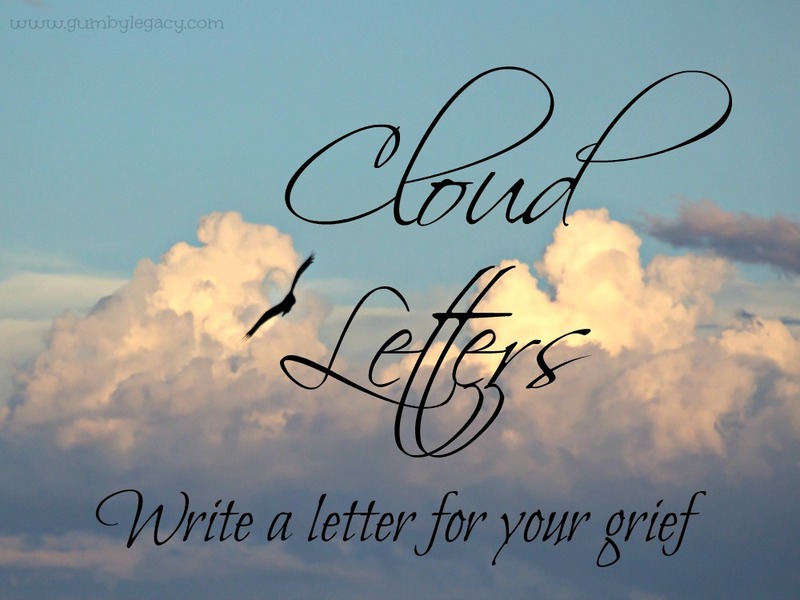 I love that you have created ‘Cloud Letters’; it will bring great comfort to so many.